Margaret Masters is one of Woodlands best known ambassadors winning 5 Victorian Championships and an Australian Championship. Margaret was the first Australian woman to turn professional and compete in America, where she had considerable success. 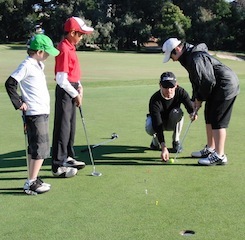 Members may not be fully aware of the comprehensive Junior Development Program that is being offered here at Woodlands. Designed and conducted by Steve Horstmann, this Program caters for beginners (from age 7) through to State Elite golfers. 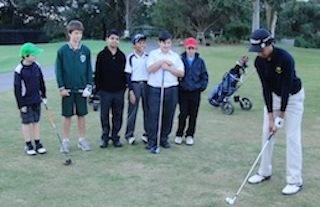 Parkdale Secondary College is now an elite sports school which includes golf in its program. Approximately 22 Parkdale boys and girls are in the golf program. Junior competitions are during the holidays, leading on to events at other clubs and State events. Once Steve assesses that a child has the capacity and knowledge of Rules and Etiquette to play on the course, he/she is invited to take up a Sub-Junior Membership, which allows play after 3.30pm and use of the facilities. The next step is Junior Membership and you will see that there are many young players now taking their place in the competition fields, playing in Junior events all over Melbourne, being selected our Pennant Teams and some in State Junior Teams as well. For more information on Junior Development please fill out this enquiry form. To provide the opportunity for keen young golfers aged 10-17 to improve their golf skills and knowledge of the etiquette and rules of golf. Once a Sub-Junior reaches the age of 18, if he/she wishes to continue their involvement with the Club they must apply for Full Membership. If a Sub-Junior wishes to play in competitions they must join the Club as Junior Member. To become a Sub-Junior member an applicant must participate in a minimum of 5 clinics or lessons at Woodlands for assessment. Once an applicant is deemed ready (by a Woodlands teaching Professional) to become a Sub-Junior member they may submit their application form and initial payment. Once the application is processed the Sub-Junior will be use the practice and playing facilities. The cost of Sub-Junior Membership is $299 per annum. Sub-Juniors should check the monthly calendar or with the pro-shop for course availability. There are times when the course is closed due to other competitions or corporate events. The Woodlands monthly calendar is available for viewing by members at the top of this page or at the pro-shop. Sub-Juniors should always check in with the pro-shop before they go out onto the course. Sub-Juniors can not play in club competitions or invite guests to play with them on the course. Sub-Juniors invited to play in competitions by a full member must pay a Junior green fee. Full playing rights are given to juniors with a handicap of 9 or less. Juniors with a handicap of 10 or more have provisional rights for Saturdays and Thursdays i.e. all day during daylight savings, mornings only at other times. When playing on Saturdays or Thursdays, no more than two juniors per playing group, unless required for pennant practice. Junior pennant provides juniors with interclub competition and an introduction to the match play format. Junior Pennant is individual handicap match play for girls and boys. 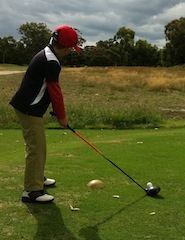 Teams of six compete against other teams from various clubs within their Golf Victoria division. 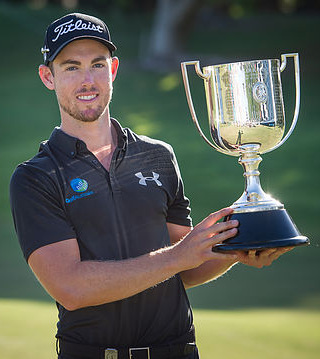 Woodlands currently have teams in three divisions of Golf Victoria Junior Pennant. To be eligible for the junior pennant squad you need to be less than 18 years as at 31st Dec of the year being played. All Woodlands Sub-Junior and Junior members with official handicaps are eligible for junior pennant. Junior Pennant includes 5 consecutive matches played on Sundays in October and November. Finals in December. Neat Golfing attire should be worn at all times. Shoes: Golf shoes with soft spikes or runners should be worn. Metal spikes are not permitted. Socks: Plain white socks should be worn when wearing shorts. Shorts: Neat shorts are preferred. No denim! Trousers: Neat trousers are preferred. No denim! Shirts: Must have a collar or mock/turtleneck/skivvy and be tucked in. Hats: Hats should be worn at all times during clinics and competitions. Clothing carrying emblazoned advertising, t-shirts, denim jeans, track and leisure suits and board shorts should not be worn. All juniors who participate in clinics and competitions at Woodlands Golf Club should read, demonstrate and understand the rules and etiquette of golf. The following guidelines allow all participants to have fun. Consideration should be shown to others and the course at all times. Ensure that no one is standing close or in a position to be hit with a club or stones/sand/ twigs etc when you make a swing. Do not play a shot until the players in front are out of your range. If a player hits a ball in the direction of other players and there is danger of it hitting someone, a warning should be shouted immediately. The traditional word of warning is “FORE”. Always alert green staff nearby or ahead when they are about to play a shot that may endanger them. Do not disturb other players by moving, talking or making unnecessary noise. Make sure all electronic devices turned all off or put on silent. On the teeing ground don’t tee your ball until it is your turn to play. Do not stand too close to or directly behind the ball or hole when a player is about to play. On the putting green do not stand on another person’s line of putt or, when they are making a stroke, cast a shadow over their line of putt. Remain close or on the putting green until all players in your group have holed out.